You dream about an adventure of a lifetime, we will make it true. MotoTours Asia pounds to be one of the most experienced in leading motorbike tours – motorcycle tours and off-road adventure travel in Vietnam, Laos, Cambodia, Myanmar, India, Nepal, Bhutan, Sri Lanka… founded since 1996 from Hanoi, Vietnam. MotoTours Asia is an International Tour Operator licensed business, our license no: 01-331/2015/TCDL-GP LHQT (issued 2005, last renewed 2015). Mototours Asia has always been working at the highest level to research and develop special tours in Asia and endeavors to create a unique Vietnam motorbike tours character. 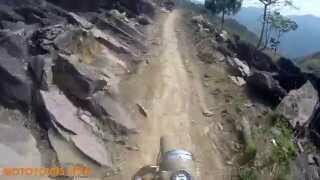 MotoTours Asia is the ONLY Vietnam motorbike tours business own and operates motorcycle tours with Royal Enfield Classic in the country. All comments about Vietnam motorbike tours and motorcycle adventure tours are provided as is. MotoTours Asia does not verify or change any information in customers comments, and we always welcome suggestions to improve our tours. Honesty is the most important thing for our motorcycle tours business! I took a motorcycle tour through the north-west of Vietnam with a company who should be included in your guide (www.mototoursasia.com). I found them through the Internet and had several email conversations with them before arrival. All correspondence was professional and served to give me the best experience possible. I just got back from 9 days in the northern provinces of Vietnam. What can I sayâ€¦ if you are looking for adventure, these guys know how to live by the saying â€œcarpe diemâ€. In summary, 9 days, 6 provinces, beautiful scenery, hitting the Vietnamese / Chinese border, early morning mists, endless mountains ranges, tribal village homestays (the real thingâ€¦ not for the squeamish), celebrating Tet Festival (The Vietnamese Version of the Lunar New Year) all done on 2 wheels (pre-WWII Russian Minsk) on varied terrainâ€¦ itâ€™s a potent mixture for unpredictable adventure. I thought the tour was a really good value. The chance to meet and stay in the homes of local people was priceless. Iâ€™m sure it wonâ€™t be long before this type of very personal contact with northern Vietnamese people will be impossible as tourism grows in these areas. hatâ€™s the great thing about motorcycle travel. It gets you too places the tour buses (or cars) canâ€™t manage the roads (or lack of roads). All in all, Voyage Vietnam were always helpful, professional and I had absolutely no problems on my short tour â€“ my only regret is that I didnâ€™t allow more time to ride further into the beautiful highlands. My guide, Hung, was a very knowledgable and friendly guy who took great pride in showing his wonderful country to me. His help was invaluable â€“ as was the chance to meet and stay with local communities who show a hospitality you cannot help but love. The price was a little cheaper than other operators in Hanoi and it was definitely value for money. Sometime, somehow, I will get back to that part of the world and when I do, I will definitely ride with Voyage Vietnam again. I recommend them to you without reservation. The scenery through to the coast is magnificent; the craggy mountain ranges covered in mystic clouds make travelers feel like wandering in a fairyland, valleys between the mountains are enhanced by spectacles of colored villages each with distinctive architectural features and fascinating spots for watching the sunset. If World Heritage had a cultural hotspot for diversity, this would be it, if seeing it, watching it is not enough, let’s explore it on Vietnam motorbike tours. Hanoi motorbike tour is absolutely one of the best choices to get out of Hanoi busy traffic and enjoying the daily life of local people around Hanoi. It will take about 7-8 hours trip with the start and end from Hanoi. This 17-days is rated as the best Vietnam motorbike tours, it takes you through whole the north region of Vietnam. From west to east, you will experience our natural landscape and friendly locals. Top Gear presenter, Jeremy Clarkson, on December 28, 2008, as part of their Vietnam Special, remarked of the road: It was a bit of a surprise because you expect to find many things when you come to Vietnam; communist-ical farming, reminders of the war, stunning food, massive heat. What you don’t expect to find is a deserted ribbon of perfection one of the best coast roads in the world. 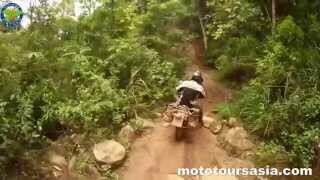 If crossing one of the most untouched, driest regions in Laos on dirt-bike is your kind of trip then the Ho Chi Minh trail motorbike tour is the tour for you! 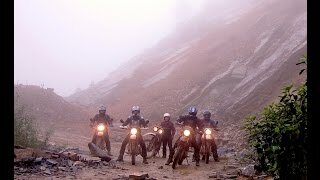 Rajasthan motorbike tour is without any doubt the most scenic and colorful part of India. Rajasthan, literally meaning The Land of the Kings, is situated in Thar-dessert in the North-Western corner of India and the harsh desert landscape is dotted with old fortresses and is an ideal setting for an unforgettable motorcycle adventure. This wonderful and innovative trip takes you into the heartland of North India where you witness nature enclosed with serene and mellow villages on the way. We explore valleys, sand dune regions, high passes, elevated lakes and a culture quite unique in this part of the region. 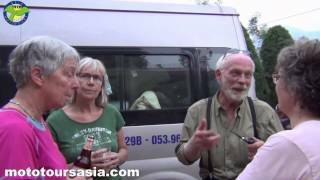 Vietnam Laos Cambodia overland motorbike tour is the best of motorbike tours in Southeast Asia. Tour departs from Hanoi 1000 years old city of Vietnam; takes you through the long way on the Ho Chi Minh Trail in Laos a living monument of the legendary historical period, through the 4000 Islands region where Khone Phapheng Falls 6 km wide flowing at border between Laos Cambodia, get lost in ancient and mysterious Angkor Temple, enjoy the sun and the wind on populous Vietnam coast road. Border crossing Vietnam-Laos motorbike tour with 18 days explore the most interesting motorcycle road in the Indochina mainland. The motorbike tour starts from Hanoi ride through Ho Chi Minh Trail in Laos with the extend to the 4.000 islands in Laos then return to Vietnam at Bo Y. Visiting the World Heritage sites of Plain of Jars, Wat Phou, My Son, Hoi An, Hue.